Contingent faculty are an important part of the workforce in higher education because they are mainly tasked with teaching entry-level undergraduate courses. However, there is not much knowledge regarding their rise to majority faculty appointments in U.S. colleges and universities, the constitution of this new faculty, the past and present issues they face regularly, or what the future holds for them. 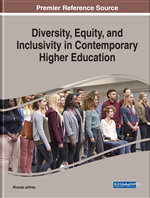 This chapter will review the literature about the historical growth of non-tenure-track hiring in U.S. colleges and universities, provide a description of the composition of this faculty, and outline specific issues they deal with while addressing opportunities advancement as well as their overall satisfaction with their work conditions. Today, we find a new faculty majority in institutions of higher education throughout the United States. Non-tenure track faculty members constitute more than half of the instructional power in college and university classrooms and the prediction is that this segment of the teaching population is bound to continue increasing (Laurence, 2013; Desrochers & Kirshstein, 2014; Kezar & Maxey, 2016). It appears that researchers in the higher education community are more concerned with drawing attention to this growing population of professionals and the issues that they face than their actual employers have been (Kezar & Maxey, 2012). Gappa and Leslie (1993) pointed to the existence of the non-tenure track faculty, discussed the invisibility of their status and the negative effects of their experiences in academia. At the time of their study, the focus was primarily on part time non-tenure track faculty as they were present in larger numbers. Today, there is more accessible information on what is more commonly known as contingent faculty which, according to the AAUP (2017), include full-time non-tenure track, part time, and graduate student employees. Despite a proliferation of data pertaining to the non-tenure track faculty, there is still much to learn about this new majority in institutions of higher education. With the continuous rise in the cost of tuition and the decline in graduation rates and high levels of unemployment after college graduation, many individuals are concerned about who is teaching college courses and how committed they are to the task of preparing the future employees and employers of the country (Ochoa, 2011; Cha & Carrier, 2016). Therefore, there exists a growing need to shed light on the segment of the faculty population that is, for the most part, in charge of the instructional needs of mainly undergraduate students, but to some extent that of graduate students. While this chapter is primarily a review of the literature aimed at presenting the reader with an overview of the contingent faculty population in U.S colleges and universities, it draws mainly from some qualitative studies and some research that employed mixed methods. Many of the studies that are explored in the chapter are based on organizational development theory and career development theory to describe the changes in the higher education faculty. The chapter will include information on some of the historical causes that have led to the new majority faculty composition in academia. It will define what the term contingent faculty entails and explain the functions of this group within their employing institutions. Furthermore, attention will be focused on specific issues that this segment of the faculty population face during their career including: conditions of employment, salaries, opportunities for advancement and overall job satisfaction. This chapter will also include some recommendations that are aimed at promoting the professionalization of the non-tenure track in the future.